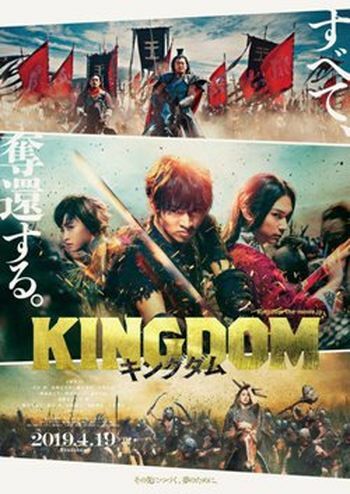 Orphaned by war, Li Xin (Yamazaki) dreams of rising from his low status in life as a servant boy by becoming a general. Xin has a fateful encounter with the boy destined to become the Qin emperor, Ying Zheng (Yoshizawa), and Zheng proves to be a critical ally on Xin's journey to greatness. Working together, the young men seek to reclaim Zheng's throne and unite the Warring States under a single banner.